It’s time to take your off-road camping to the next level, without having to sacrifice the tent camping experience. The OPUS Air Off-Road pop-up campers for sale from Fretz RV are your ticket to an incredible off-the-grid adventure! In this OPUS Air Off-Road pop-up camper review we’ll delve into some of the best features of this incredible camper. Right now you could take home this OPUS Air Off-Road pop-up camper for just $221 a month! You never know where your next adventure may lead you, that’s why you need the OPUS Air Off-Road pop-up camper! 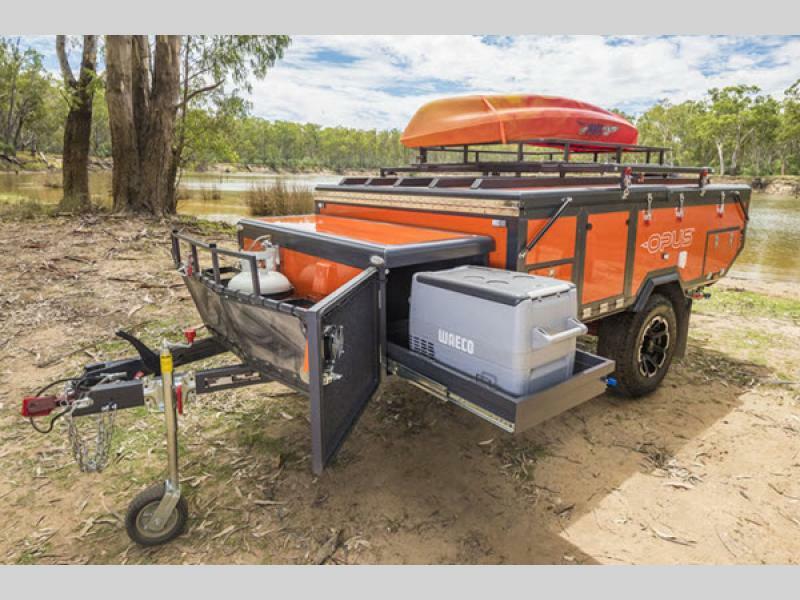 This pop-up is built in Australia and designed for the incredibly rough terrain of the outback, so it features 15’’ Off-Road tires, a steel chassis with independent torsion suspension, and solar power hook-up for off-the-grid camping. You’ll find a options for a bike rack, Opus roof rack bars, and a kayak rack so you’ll never have to leave your toys behind. The OPUS Air Off-Road features everything you need for a camping adventure. 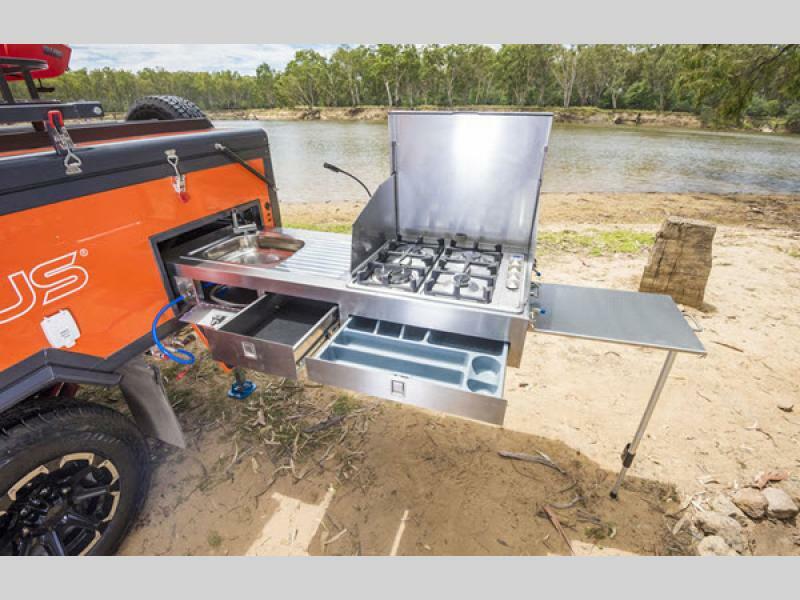 Never miss a moment of the action with the outdoor features available on the OPUS Air Off-Road pop-up camper. This outdoor kitchen is equipped with a four-burner range, sink, and storage for all your utensils. You can opt for a full awning, sun canopy, and even an outdoor 5 gallon solar shower tent. Perfect for grilling up the catch of the day! 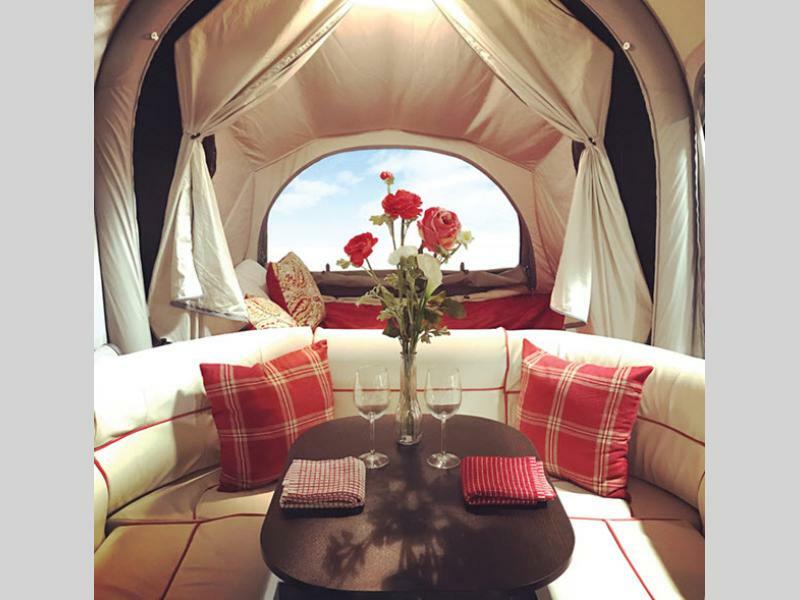 Just because you’re off-the-grid doesn’t mean you have to give up those creature comforts you love! The two, private, queen bed tents feature optional Memory Foam mattresses and the kitchen dinette can convert into additional sleeping so you can take up to six campers easily. Can’t live without your morning cup of joe? Just opt for the 12v coffee maker in the kitchenette and wake up just the way you like. Don’t waste another second! 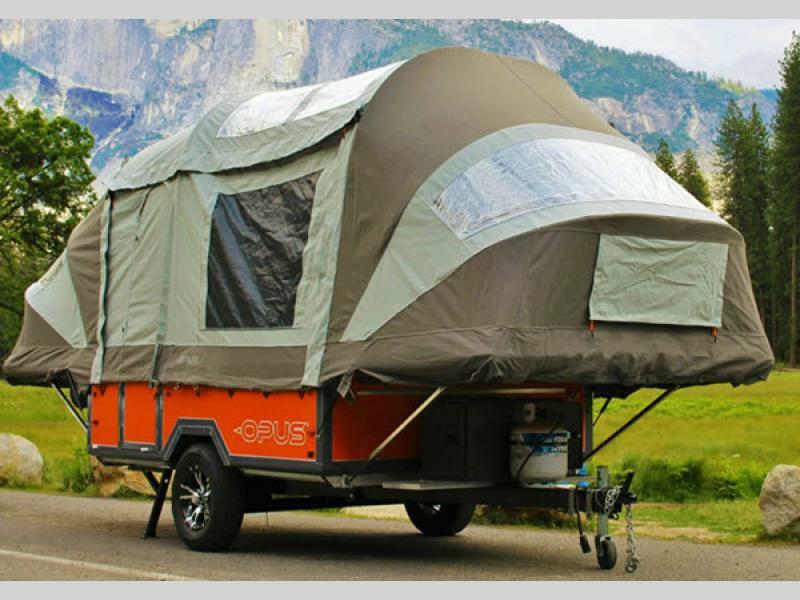 Contact Fretz RV and take home the OPUS Air Off-Road pop-up camper today. You can have luxury and the tent camping experience you love, anywhere you go, when you take an OPUS Air Off-Road with you!